If you were to stand on the platform at Grand Central Station, ready to board a train, it would be reasonable to ask, “Where will this train take me?” Hopefully we would know the answer before we board and end up somewhere we didn’t intend. Abdu Murray’s Grand Central Question has in mind a similar range of questions as he probes three major worldviews and their critical concerns. He examines the assumptions of secular humanism, pantheism (or new age eclecticism?) and Islam and he sees a ‘Grand Central Question’ at the center of each of these worldviews. Murray himself is a convert to Christianity from Islam. He brings to the apologetic task, a lawyer’s mind, astute at weighing and analyzing the evidence. So what are the ‘Grand Central Questions’ for each of these worldviews? In part I of his book, Murray describes how secular humanists question what ‘provides us with intrinsic value or objective purpose?’ For the secular humanity each person is the sole arbitrator for issues of morality and purpose (though many would also look to the common good). Murray examines the claims of secular humanists, both those of the New Atheists and kinder, gentler secular humanists. He affirms their belief in humankind’s intrinsic value, but sees the real answer to secular humanist questions resides in Jesus who’s incarnation and death on a Roman cross demonstrate how precious humanity is in God’s eyes (112). He also argues that God provides the basis for objective morality. The Grand Central Question which Eastern Spiritualities attempt to answer is the problem of pain and suffering. This is true of the panethestic religions like Hinduism and Buddhism, but it is also true of the new spiritualities of Eckhart Tolle and Deepak Chopra. But the answer to suffering provided by each of these are some version of the great escape. To become one with everything means to be released from the wheel of suffering and to be united with the Divine universe. In the Christian tradition, God did act decisively to bring humanity into union with Himself, but Creator remains seperate from creation. We are invited into a dynamic relationship with God and like, Jesus enter into the suffering of our world. Finally Murray examines Islam. As this is the faith system that Murray was raised in, it is not surprising that this is the most detailed section of his book. Murray claims the Grand Central Question of Islam is ‘how are we to come to grips with God’s greatness in a way that satisfies our mind’s God-given rational capacity and our soul’s realization that what is worthy of worship is that which is beyond us? (170)’ For Muslims the greatest of Allah is codified in reciting the Takbir: Allahu Akbar (God is Greater). Murray examines the philosophical claims that Muslims have against Christianity (i.e. 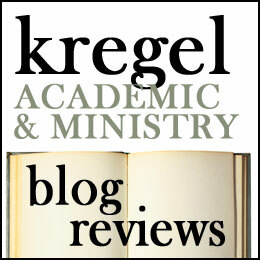 a corrupt scripture, Trinitarian theology equals idolatry, Jesus only ‘appeared to die,’ etc). In each case he shows how each of the claims of Islam undermine God’s greatness. He argues that if God great (as Muslims and Christian’s both believe) than he could certainly preserve his own gospel, his greatness is manifest in Trinity, and His Great Mercy is shown in Christ’s incarnation. Thus the prologue orients you to Murray’s apologetic approach. 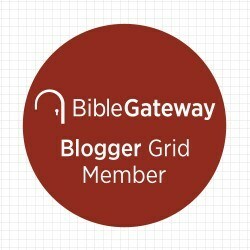 He has attempted in these pages to listen well to what these competing worldviews are saying but finds God’s own story of redemption most compelling. He demonstrates how Jesus is the answer to the Grand Central Question. I appreciate how christocentric his Apologetic is! So many apologists answer secular humanism by demonstrating the rationality of theism. Murray does this, but he points to the Christian story–Christ’s incarnation and death as the proof in the pudding. Likewise he points New-Agers and Muslims to Jesus. This is great approach! Aaron D. Taylor is a missionary and founder of the Great Commission Society. He has traveled the world sharing the good news of Jesus Christ. He had heard through a film crew of an outspoken Irish convert to Islam who lived in London named Khalid. After delivering a sermon at a Pentecostal church in Brazil several months later, a man approached him saying that if he would go to London in the next year God would give him a great victory. Taylor took it as confirmation that he should go talk to Khalid and see if he could win him over to the Christian faith. A documentary film maker put Taylor in a room with Khalid for seven hours (you can watch the film Holy Wars here) but things didn’t exactly go the way Taylor planned. Khalid was a man firmly convinced that Islam had a more comprehensive view of the world than Christianity. Khalid had a more holistic approach to his faith than your typical Western Christian and he challenged Taylor to think about how he would implement the Bible in his life or if he was in control of the government. Taylor doesn’t capitulate to Khalid’s worldview, but his challenge haunts him and causes him to think about what the implications for politics are for a follower of Jesus. All this happens in chapter one of Alone With A Jihadist. Taylor’s debate with Khalid causes him to ask hard questions of his faith. Khalid critiqued western society as corrupt and evil and it forces Taylor to take a long hard look at his politics, what he believes and how he should live. Taylor concludes that following Jesus and working for the Kingdom of God necessarily implies a critique on the ways of the world, on nationalism, the promise of democracy, American military action, and the unquestioning support of the modern Israeli state from the religious far-right. He claims that following Jesus calls into questions all these things and calls us to embody the Spirit of Christ (who went to Calvary) for love of the world and not create war and strife. Taylor shares a pacifist position similar to what you would find in the historic peace churches (such as the Mennonites). However he grew up in the Pentecostal tradition and has seen the ways that its leaders (evangelists and high-profile pastors) have sometimes been co-opted by the state and have supported means, initiatives and projects which seem to contradict the words and actions of Jesus. And so this book challenges those on the Right to think through the implications of their beliefs and politics in light of the gospel but also shows his conservative evangelical friends that he hasn’t just swung to the left, but is trying to follow Jesus. Taylor manages to remain respectful and evenhanded in his presentation of his position. For example, many evangelicals and Pentecostals are Zionists applying the promise to Abraham in Genesis 12 to the modern Israeli state. Taylor is able to show some of the problems with this position as he discusses the injustice that has befallen the Palestinian people from the Israeli military and Jewish settlers; however he doesn’t say that the Israelis are all bad or that the Palestinians are all good. He simply shines a light on the side of the tension hat is not often explored by Pentecostal evangelicals and asks us to admit that the truth is much more complicated than we often allow. He also explores the way Jesus went out of his way to love and affirm the Canaanite woman ( a Palestinian) and was critical of the Jewish nationalism of his day (the Pharisees and Sadducees were the Jewish nationalists of their day). Ethically there are two basic ways that Christians have sought to navigate political issues. Idealists commit to biblical principles and the values that reflect the coming Kingdom of God. If Christians are to partner with God in ushering in the Kingdom of God, than we should start acting like Jesus reigns and respond to issues as though the Kingdom was already here. On the other side, Christian Realists acknowledge that the Kingdom is coming, but we are not there yet. So we sometimes need to compromise and accommodate to have greatest impact on a world that is mired in sin. Taylor stands with the idealists in his desire to live a life committed to the way of Jesus and accept the implications for his political life. The realists may ask the pragmatic question, ” does it work? I really appreciate the perspective that Taylor brings and find I agree with many of his critiques (I have my own pacifist, idealist leaning); however I am not sure that he adequately answers the second part of Khalid’s question, “How would you implement the Bible as a way of life or in government? (9)” Taylor gives you good reasons for deep personal convictions (many of which I share) but does not show how the Bible can implemented in government (along with the historic peace-churches, he questions if you can). 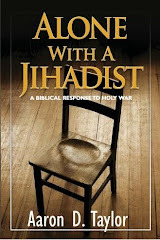 I liked this book and am amazed at how a conservative Christian was transformed by his encounter with a radical Islamist. God uses Khalid to make Taylor more firm in his pacifist convictions. If you haven’t really thought through the ways in which your Christian faith should inform your foreign policy as a Christian, then this book may be a good place to start.